Wow this is gorgeous!! I love the peacock feathers sticking out. I love the rich colors against the blue. Everything is so beautiful and perfect on this page! This is stunning--caught my eye in the gallery right away! Black and white background paper and the photo are perfect choices! This is so beautiful Cindi! 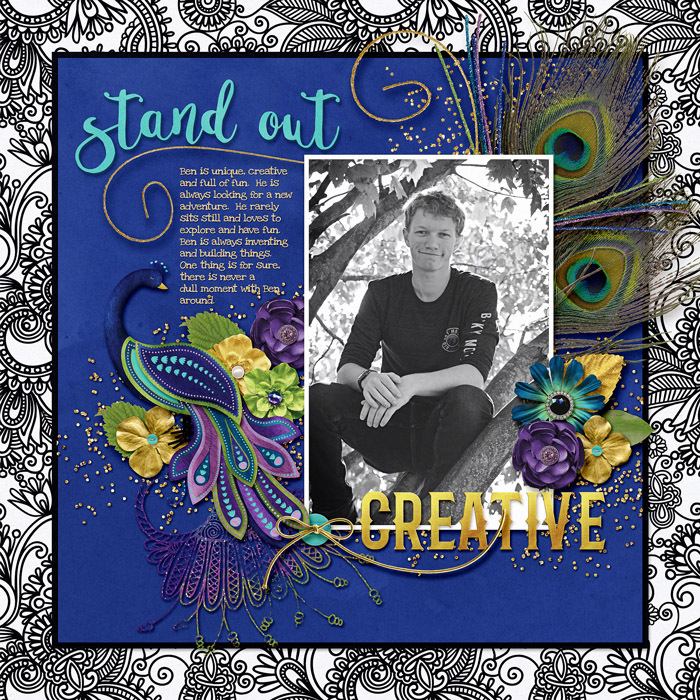 Love the black and white backing of the layout and how you used the peacock feathers! The black and white photo with the peacock colors is very eye-catching! Great picture and amazing page! Love the elements you used and the glitter scatter.